Calling the place “Whistler” is very apt. Just the word evokes an exhilarating, high speed experience, and the place does not disappoint. Whistler is a famous resort town nestled deep in the Coast Mountains. It is one of the best skiing places in Canada and is a gem of British Columbia. It is located about 125 kilometers north of the bustling city of Vancouver. 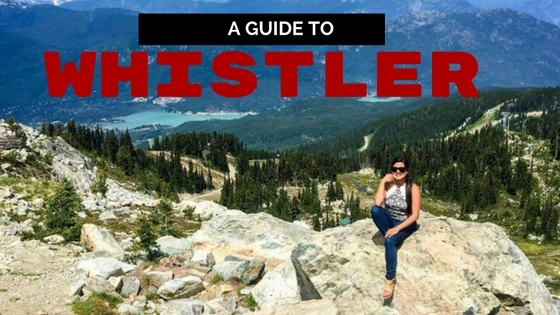 Officially known as the Resort Municipality of Whistler, it is home to almost 10,000 people. That does not count the larger number of “transient” people. This population comes from other places such as Europe, Australia, and the like. There’s the more than two million people visiting the town every year. Alpine skiing is the main attraction during the snow-clad months. Summer months, on the other hand, play host to mountain biking activities. 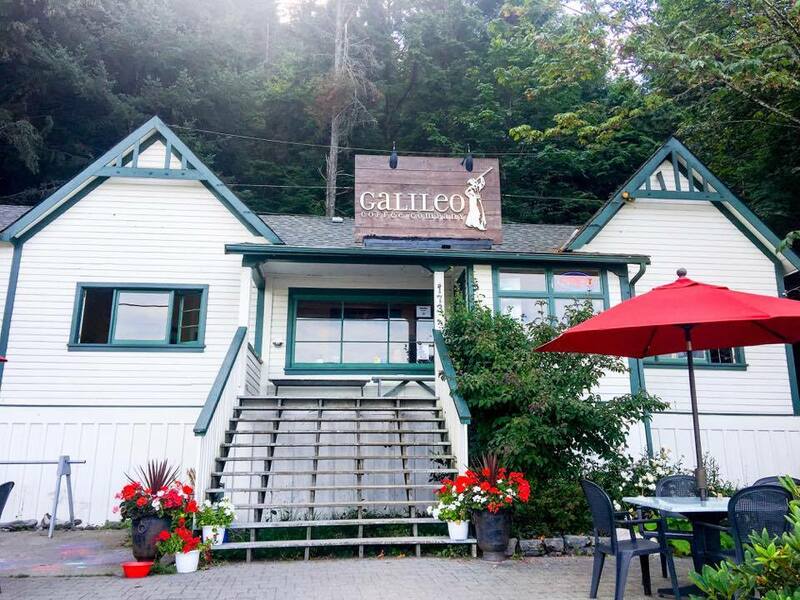 We kicked off the day with a great cup of coffee from the Galileo Cafe. The shop had a commanding view of the Britannia. The place is a good stopover for anyone looking for a good source of warmth against the snowy cold. After our coffee, we jumped headfirst into our adventure. The first stop was the “Peak 2 Peak” gondola ride. Just as the name says, it takes you from one mountain peak to another. The gondola connects the Roundhouse Lodge in Whistler Mountain with the Rendezvous Restaurant in Blackcomb Mountain. It is the current record holder for the longest span between its towers, amounting to 3.03 kilometers. It also rises more than 430 meters off the ground, the highest in the world. We were told there is a lift with a glass bottom, so we decided to wait for it (in the spirit of thrill-seeking). I thought it was a fully-glass floor, but it turned out it was merely a small square in the middle of the gondola. It was kind of disappointing, really. It’s not really worth the wait, and you can get as much thrill on a regular gondola. Going back down, we took the chairlift. I can only imagine how cold this would be in the depths of winter. Unfortunately, we ended up on the other side of where we were supposed to be. But maybe that was not as bad as it sounds, since we had to do a short walk back to the ski village The walk was perfect, with a bridge over a river. It was a picturesque scene. The gondola, the chairlift, and the walk was a perfect start to our adventure. When we got back to the village, we were hungry for a bite. We wandered over to a kiosk of Zog’s Dogs. Despite the weird name, the hotdog meal was surprisingly good. My uncle tried some Jalapeno and Cheese, while I had the Poutine Dog. Both were really good. They said the kiosk was open until past midnight, so it’s also a perfect snack for those out late partying. On our way home, we made our way to Alexander Falls, located on Madeley Creek. 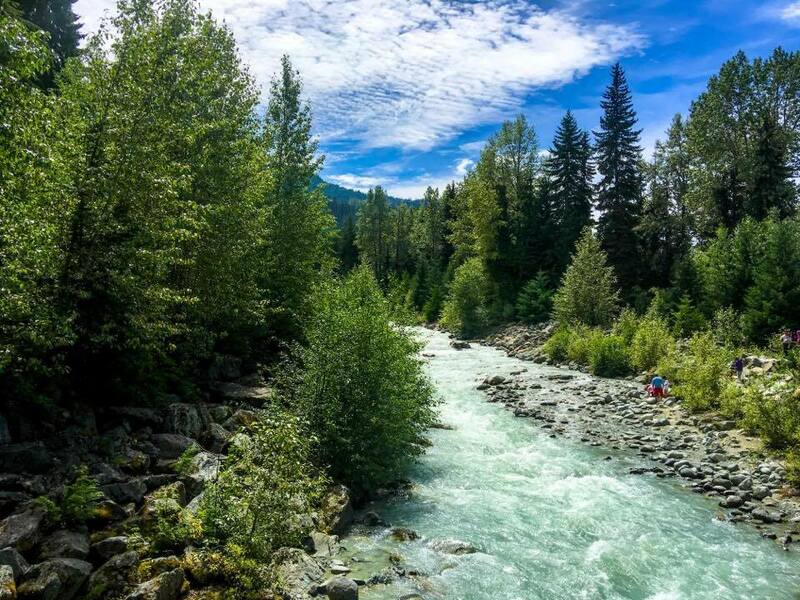 It lies to the south of Whistler, and is just below a bridge to the provincial park. The falls is quite tall, dropping more than 40 meters. It has three drops, and is more than 10 meters wide. 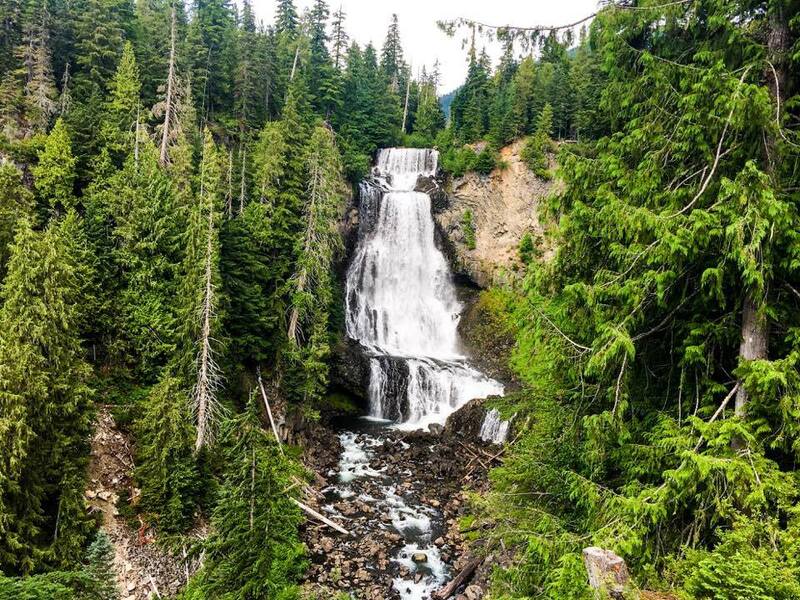 The falls is just a 30-40 minute drive from Whistler itself. We visited the viewing platform, which is close to the parking area. We were told that a secluded trail leads to the top of the falls. An even more difficult path led to the base. It’s a great place for picnics and campings. When we got home, it was just in time for sunset. The sunset over Britannia was one of a kind. The dark orange flow of the sky danced with the deep blue. The light erased the features of the distant mountains and reflected wherever there was water. It was the perfect sight to end a day of exploring beauty in this part of the world. There are lots of places to visit in Canada, and even in British Columbia alone. 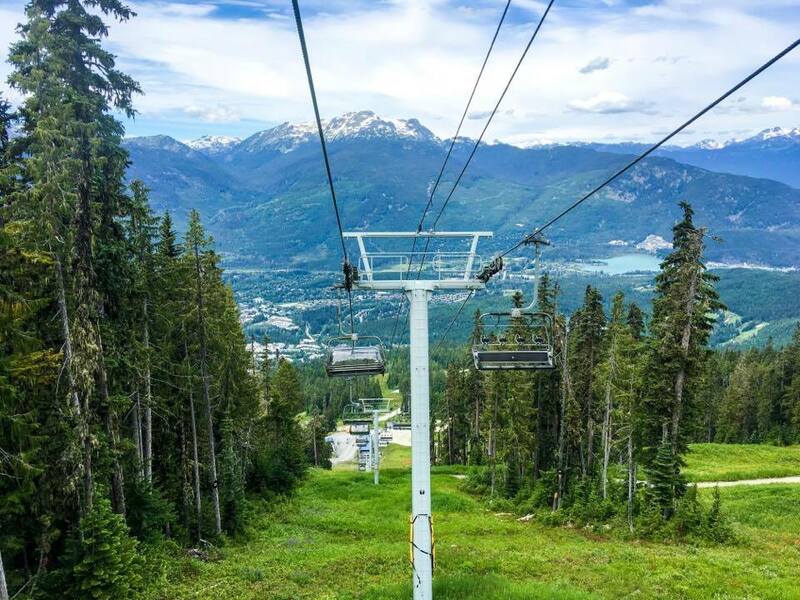 For those looking for some challenge, Whistler and its surroundings is a must-see. There are few things that can rival the magnificence of those mountain peaks. Everything else is molded perfectly around it, culminating in the perfect tourist experience. Do yourself a favor and check out these places in case you visit British Columbia. You’ll definitely want to come back for more. This is just stunning. We hear about Whistler’s but only know of the winters there so it’s great to see fall in all its glory. I hope to catch it during winter time too. I heard it will look so different. Oh canada! I wanted to go here. There are some really impressive landscapes there, wow! The falls were really pretty. What a rewarding view! 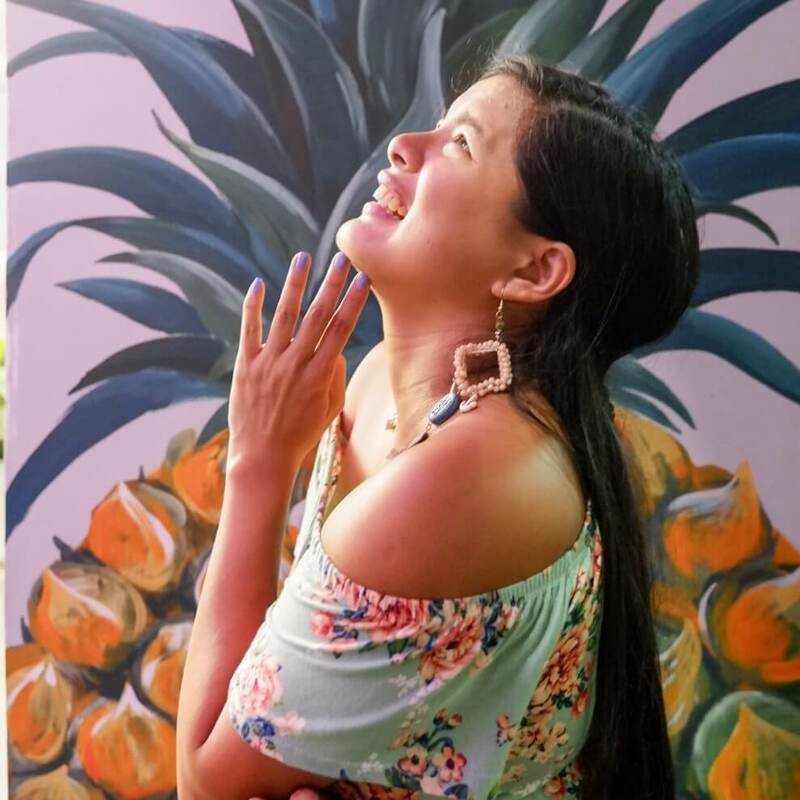 What a beautiful trip! I’ll have to add these places to my bucket list. Whistler looks like a gorgeous town!! I would love to go one day! I can imagine how cold this is during the winter! The view from up top is amazing though and the waterfalls is gorgeous. It’s a place worth going to especially if you don’t mind the cold. During the winter, its a ski resort. People really go there. I guess it will be super cold but as long as you are equipped, it shouldn’t be a problem. I’ve always wanted to check out Whistler. The views are spectacular. 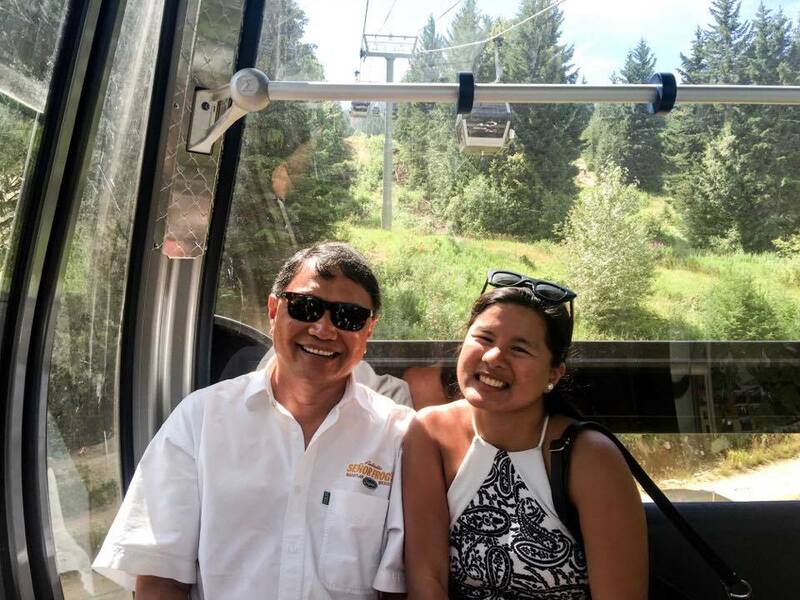 Taking the gondola or a hike sounds like the perfect way to enjoy such a beautiful location. 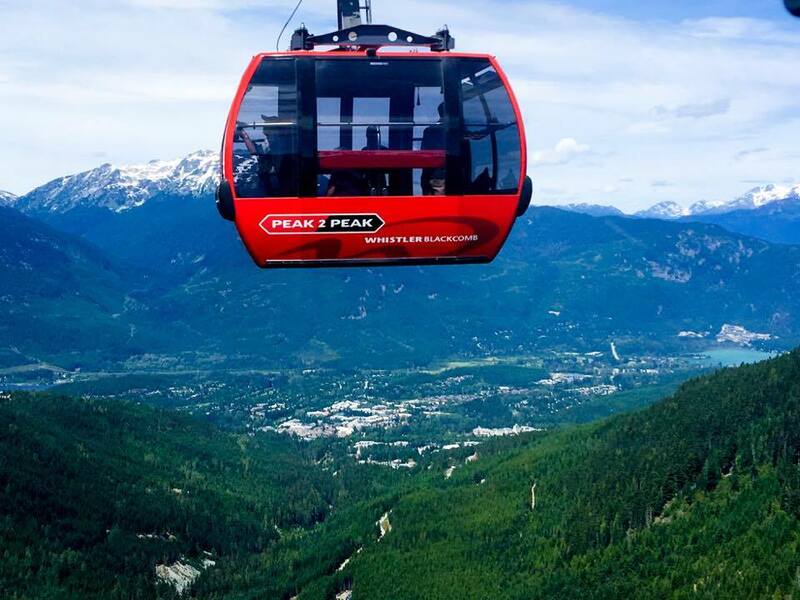 What I love in Whistle, Canada is to ride a the Peak 2 Peak Gondolo Ride! It looks really fun I hope you enjoyed the adventure. What a fun experienced! I would love to go one day with my family. They would love it. What a fun experienced! I’ll bring my husband in this place one day. OH my goodness I bet that view is worth the trip! I’d love to visit Canada and Whistler sounds like a good place to start. Glad to hear I inspired you to visit this place. It is really busy during the winter but in the summer they have mountain biking. I have heard of whistler from a few posts and I believe it is beautiful. Thanks for the images very inspiring to visit! That looks absolutely stunning. I bet the views from around there were breathtaking. Looks like you had a great time. I really did have a great time. I want to experience it during winter too. Whistler sounds like a beautiful place to travel and I can see there is a lot to explore being a nature lover. The Alexander Falls looks amazing and the gondola ride is a great adventure to experience for sure! What I loved about Alexander Falls is that it was easy to get to so its for everybody. The gondola was an experience in itself, you are right.